A front door is the first line of defense against burglars, but it is not the only door that matters. If an intruder gains access to your property, you need to be sure that your family and your belongings are safely protected. This is where setting up a safe room in your house can make a difference. The concept of creating a safe room in your home may seem like a drastic security measure to take, but it does not need to be as daunting as it might seem. Rather than a newly-created space inside your home, there’s only a single investment you will need to make in order to set it up: a door. Keeping your bedroom protected is essential to those who want peace of mind. A secure bedroom door will help you with just that. Your house may not have a specially-built safe room or panic room, but with a reinforced entryway—like one of our high security doors and frames — your bedroom can fulfil the same purpose. Waking up during the night to the sound of your home alarm system is every homeowner's nightmare. But knowing that you have secure bedroom doors can put your mind at ease. With almost a century of experience in the home security sector, Banham has developed secure door types which are reinforced to completely prevent forced entry from the outside. Having a secure internal door to your bedroom, where many of your home’s most valuable belongings are likely to be, allows you to substantially improve its security in the event of a break-in. That means more time to take action and call the police, and less need to worry about your family’s safety. While an intruder may get away with material possessions like a television elsewhere in the house, your family will remain secure in their own safe room. 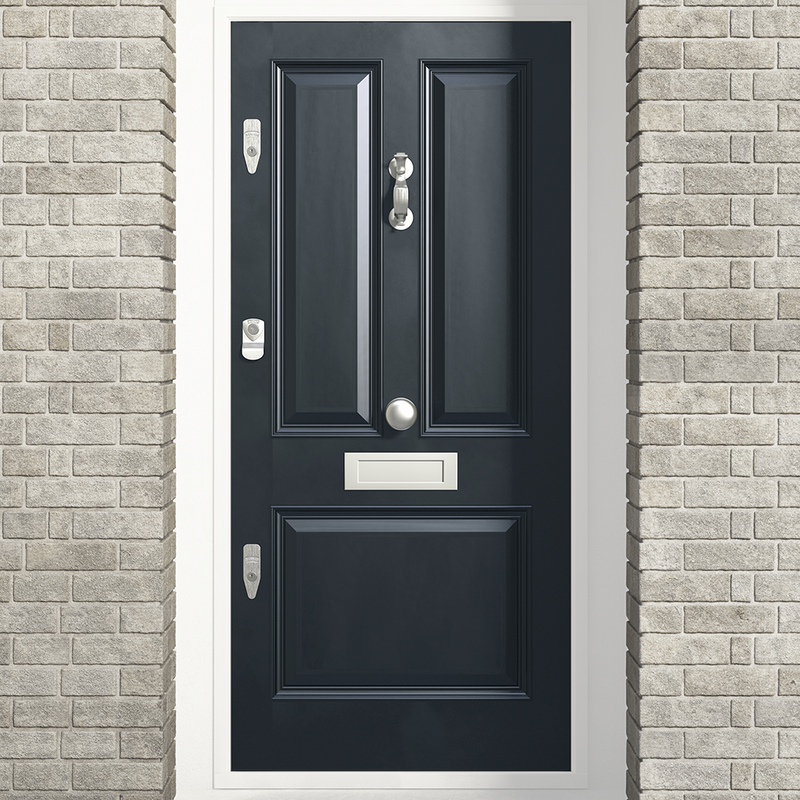 Our Banham door range consists of various types to match the specific security requirements of the client. This results in a bedroom door that becomes an impenetrable entry point for those trying to gain illicit access to your safe room. Making a panic room in any part of your property—and it does not necessarily need to be your bedroom—can help control and limit access within your home. Installing a security door as the first point of entry after your front door will make it far more difficult for intruders to even make it past the hallway. Banham’s internal security doors also feature our renowned Banham door locks. These expertly-crafted locks are ideal for protecting safe rooms, with features such as drill-proof plates covering the high security locking system which make them very difficult to bypass. We can also create custom security doors to match the designs of your existing doors, meaning you will not have to compromise on style to improve safety. When you are away on holiday, a secured room can provide peace of mind that your most valuable items are not accessible. Install a secure door and lock it before going travelling to keep your items protected. Add an extra layer of security by installing a safe in your safe room to keep any high-value belongings such as money and jewellery protected. In the event that an intruder gets past your locked door, your belongings will be secured. We can offer a range of safes based on your needs, and we can recommend the best option for you following a confidential and free on-site survey. Get in touch with our security experts at Banham today for more information about our secure doors, or visit one of our showrooms to see the full range of security products. Discover Banham's full range of bespoke doors. Crafted from quality materials and in a range of styles and finishes, they guarantee an impeccable first impression. Free Security Survey: Click the button below to request a free, no-obligation home or office security survey.